An Illinois woman was taken into custody Monday evening after she was found to be in possession of various types of drugs as well as a handgun without a permit all while allegedly shoplifting from the Jasper Walmart Store. Around a quarter after 8 last night officers with the Jasper Police Department were called to the north-side Supercenter in reference to a theft. 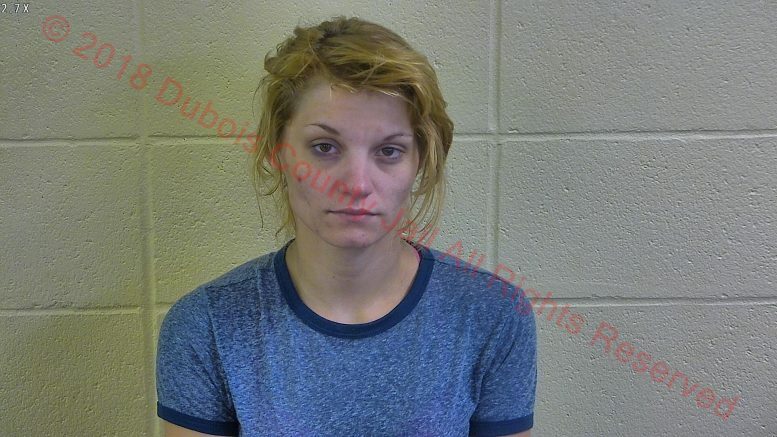 They say 25-year old Jennifer Jones of Lawrenceville, Illinois was located inside the store and had taken $77.55 worth of items from the store without paying for them. Officers searched Jones’ purse and found 4 grams of a white crystalline substance that later field-tested positive for methamphetamine. Several other types of schedule II controlled substances as well as a .22 caliber Phoenix Arms handgun were located. Jones was placed under arrest and was taken to and booked into the Dubois County Security Center on a Level 5 Felony Count of Possession of Methamphetamine, 2 Misdemeanor counts of Possession of a Controlled Substance as well as misdemeanor counts of Carrying a Handgun Without a License and Theft. Police say Jones’ possession of the handgun enhanced the charge of Possession of Methamphetamine to a Level 5 Felony. Be the first to comment on "ILLINOIS WOMAN CAUGHT WITH GUN AND DRUGS WHILE SHOPLIFTING"